Eileen, a top producing Realtor® since 2003, brings to her real estate practice 20 years of prior expertise in marketing, communications, and business management – a solid skill set for our ever-changing economy. 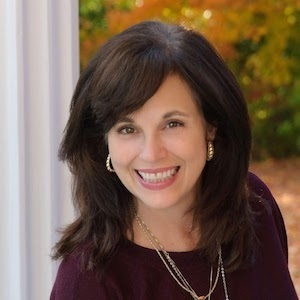 Eileen’s clients benefit from her personal experience in executive relocation; she has moved seven times with her family, coast to coast and back again, owning real estate in six states, including historic homes, custom construction, condos, townhomes, and view properties. Her first-hand experience has helped hundreds of home buyers and sellers achieve their goals – where markets have been hot, with scarce inventory and multiple offers, as well as sluggish, with softening prices and excess inventory. Prior to working in real estate, Eileen was Director of Marketing and Public Relations for two small colleges, Dominican University of California in San Rafael, and Saint Michael’s College in Vermont. She has prior experience as a newspaper and magazine journalist, and as a writer and manager in corporate and agency public relations, marketing, and advertising. She attended the College of William & Mary and holds a B.A. in English literature and journalism from the University of Delaware. Eileen values giving back to the community and supporting the arts, education, and business endeavors, with a long resume of leadership roles in the many places she has lived. She is currently seeking how she will express this passion in the Berkeley area. Eileen grew up in Washington, D.C., and has lived and worked in Delaware, Maryland, Illinois, California, Iowa, and Vermont prior to landing here in the Berkeley-Oakland marketplace. In addition to selling real estate, she enjoys yoga, hiking, skiing, travel, and reading.